"There's no more room up here." 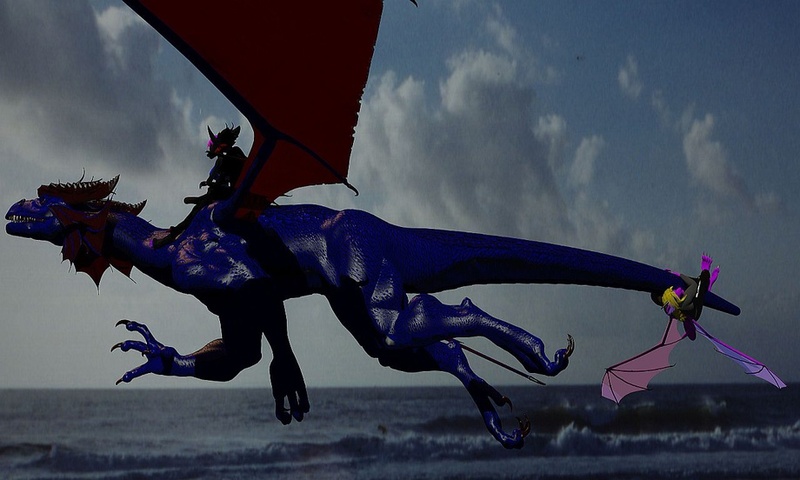 Royal said atop the large dragons shoulders. "But you have wings, why can't you fly out to the island?" Dancer replied "I would if I could, but I don't know where it is at. "Well, perhaps he could... No nevermind, we wouldn't want him to be crushed by the talons." Fursat had said. It was decided. he would have to fly coach. XD What a gentleman.